Our four event spaces can accommodate events and parties of all sizes. We also are able to convert our guest-rooms into breakout rooms for conference & corporate retreats. For more information on hosting an event with us, please visit our Events Page, or to get menus & pricing information, fill out an Event Inquiry today. 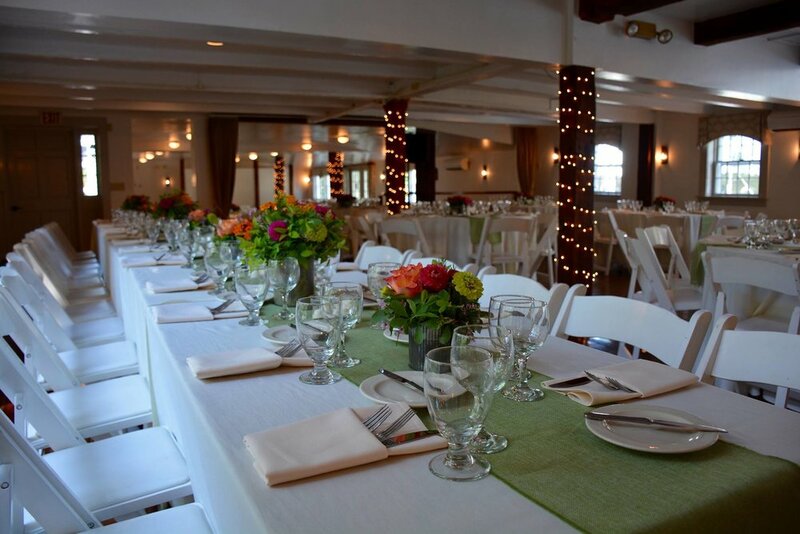 The Banquet Hall is our main reception room for events hosted at the Dowds' Country Inn. 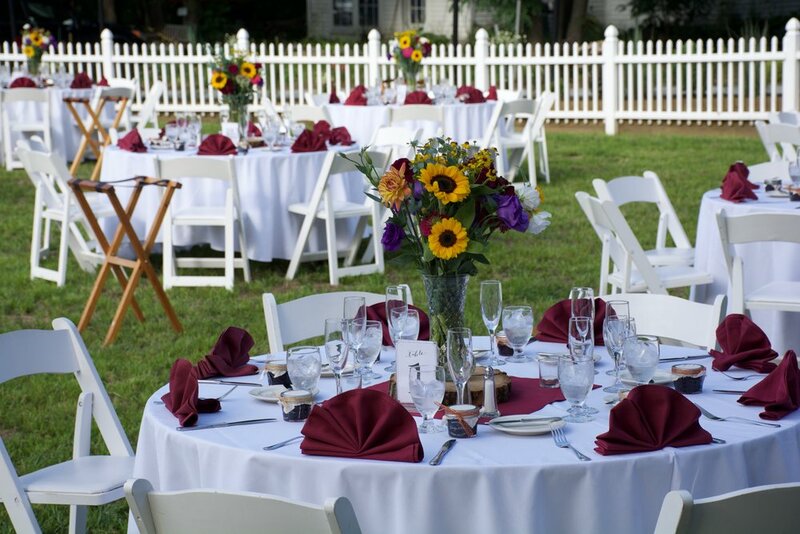 We've hosted Weddings, Company Parties, Conferences & Business Meetings and more. 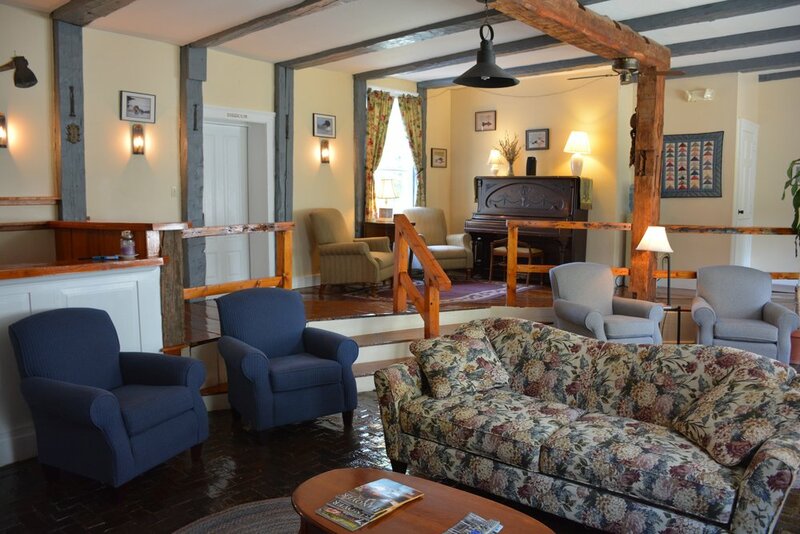 Originally the barn, this section of the building was renovated into a 200 seat banquet hall and 10 more guest rooms. 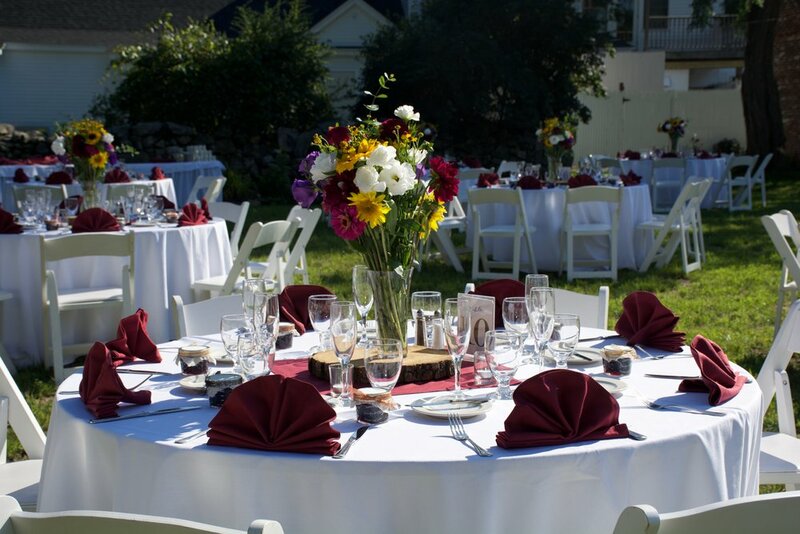 Immediately off the banquet hall is our courtyard & patio - great for outdoor cocktail receptions and dancing. Added in 2015, our outdoor patio is a great location for cocktail receptions. 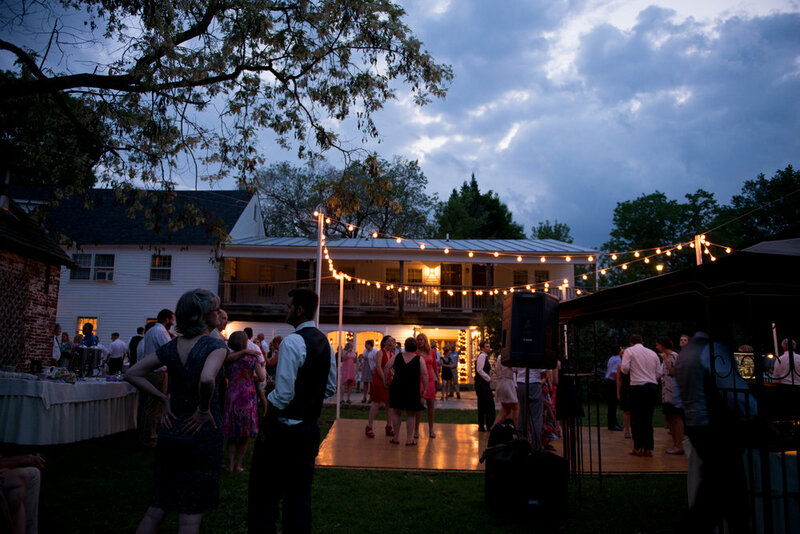 Our courtyard can accommodate a tent, and is a great location for receptions and dancing, with ample space for dance floor and outdoor lighting for those evening events. 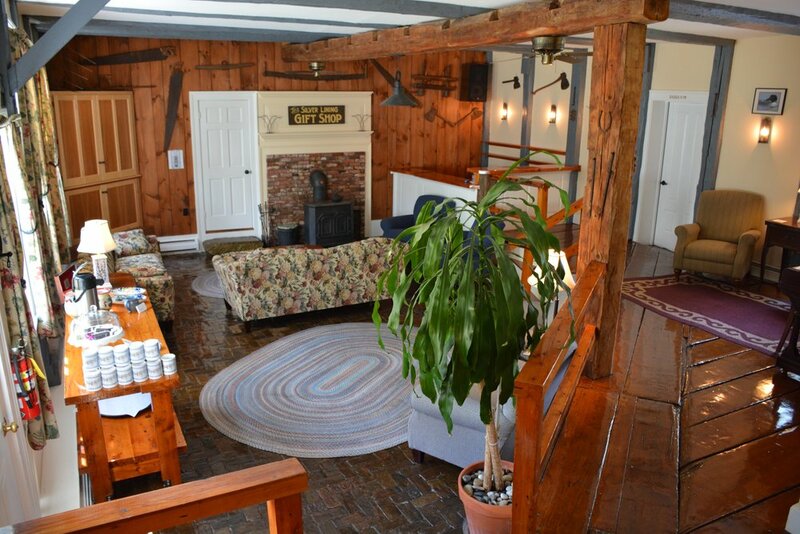 The Carriage House is the commons for our Inn. It formally served as its name implies, housing the carriages and attached to the barn (now our banquet hall). Since renovated, it is a great location for a cocktail reception. 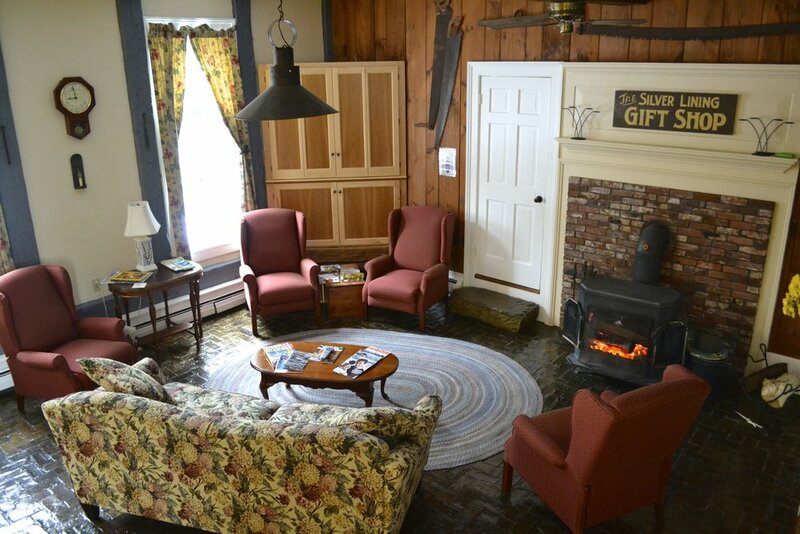 Enjoy the atmosphere of this room with its built in bar, basket-weave brick floors, and historical charm. 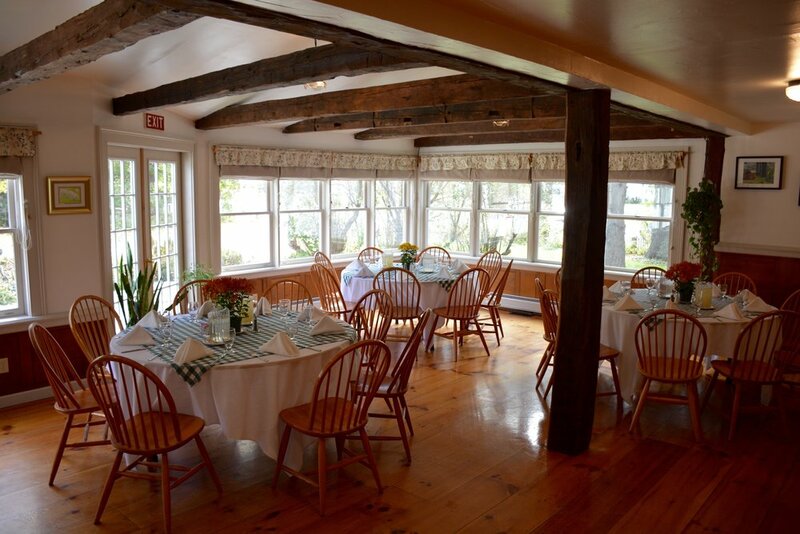 The Sun Room is where we serve breakfast to our in-house guests. It is a great location for smaller receptions, like company parties, as well as bridal showers, baby showers, and birthday parties. Visit our Gallery Page for more photos of past events, or visit our Events Page to find out how to book a private function.